Only took two photos today, this is one of them. Our poor dog had another flare up of his pinched nerve in his neck and was miserable all day. Takes a toll on him and us too. Hoping for a better tomorrow. Great shot. Neat looking bird. Hope your dog gets better. Hate to see them suffer. bright spot this pretty finch in a bad day. hope your pup is feeling better soon. really heartbreaking when they are down. Lovely shot of the gold finch. Do hope you dog is doing better - it's like having a sick child - you feel so for them. Beautiful bird. I love its colour. Such a gorgeous little bird. Hope your dog will be okay. Good shot. Can the dog take painkillers? Hope your pup heals up quickly. Sounds so painful. 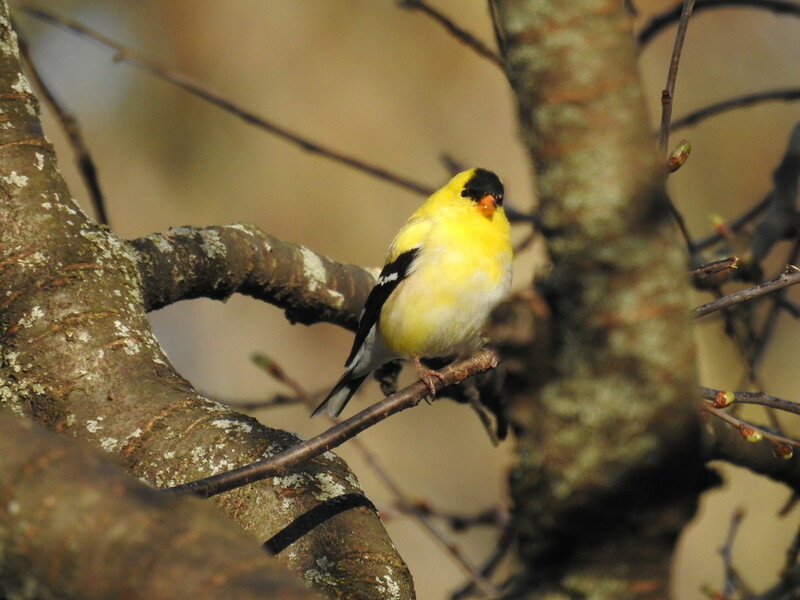 Great shot of the American Goldfinch. Sorry to hear about your dog.